After a few years from her debut album Unbreakable Smile, Tori Kelly is back and she’s spreading the Word in her newest special project near and dear to her heart, Hiding Place. While Tori digs deep into her church roots, no matter your faith (or if don’t believe in anything worldly at all) her vocals also have an uncanny way of drawing you in and sending shockwaves all over. Now, if you’re giving this a first listen, there is no better song than “Masterpiece” to get the party started, featuring popular Christian hip hop artist Lecrae. It’s lighthearted, full of meaning, and all about being a piece of God’s beautiful masterpiece. Tori Kelly is highly renowned for her runs and riffs, so be prepared for your wigs to be snatched by the end of this song. “Help Us to Love” gets bluesy and a little closer to classic gospel sounds, complete with the Hamiltones harmonies. As the title suggests, the song is asking for us to find love in this world, despite the “hate we see on the TV screens, in [our] country ‘‘tis of thee,” tipping a hat to the wild news stories of late. This song mirrors “Questions,” which is easily the most painful song on this album. “Help Us to Love” is about something who is into their faith asking to be a better person despite the world’s turmoil. “Questions” is a song about questioning your faith because of the turmoil in this world. Kelly sings, “what happens when the healing doesn’t come?” and, like anyone who has had a religious background, doesn’t shy away from the very real fact that even those deeply enveloped into their faith sometimes hits a place in their life where they question it. 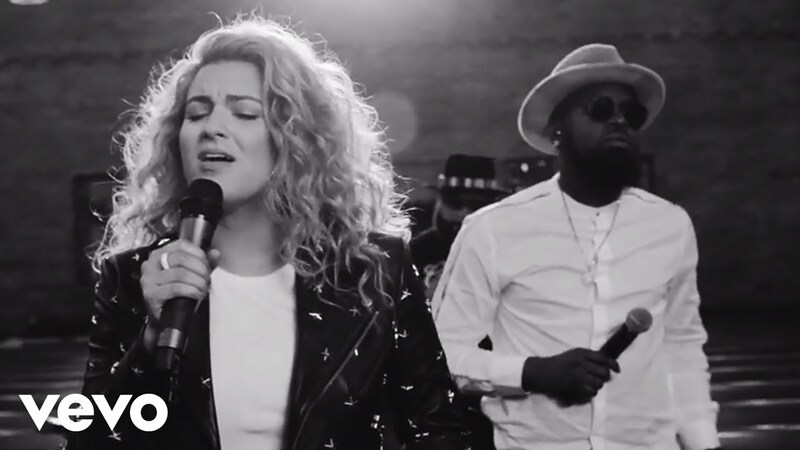 “Questions” is then immediately followed by “Never Alone,” Tori’s major collab with Kirk Franklin himself. This being her first sort-of single on this album (and pretty damn catchy, I might add) Tori brings back the wig-snatching, edges-disintegrating runs, and the title of the track speaks to its meaning for itself -- you’re never alone, even when you’re at your lowest. “Sunday” gets a little jazzy, and has become my low-key favorite on this album (high-key favorite being “Masterpiece”). It’s the same story of “not being who you think I am,” but with a Christian spin. “Don’t let Sunday fool ya” because, hey I’m not perfect. The song has a very “wake up in the morning and get ready for the day” kind of feel. Sweet vibe, but with even sweeter harmonies and old-school scatting. The rest of her songs are very true to her faith, even more so than the others mentioned. “Just as Sure” feat Jonathan McReynolds is certain beautiful in its own right, but definitely not my favorite. It’s doesn’t stand out quite as much as the other songs, but even still, as a standalone piece it is quite lovely. “Psalm 42” is full of meaning, but you’re either going to LOVE this song or just skip it. For those interested more in Tori’s pop hits and not big in faith, this won’t be a song you’d enjoy. Anyone outside of this bracket will adore this song otherwise. And finally, we have “Soul’s Anthem (It is Well).” This song wraps up the album and has almost zero production on it, its simplicity adding to its power -- all vocals, all choir, no instruments, all Tori. This conclusion will leave you lightheaded, and is a powerful wrap-up to the album. Tori has much more music in store, but after taking a long hiatus, getting married, and staying away from the spotlight, it is easy to see that the year of Tori Kelly has only just begun -- one riff at a time. Tori Kelly will be going on tour at a historical church near you. Check out her website for upcoming tour dates and locations!